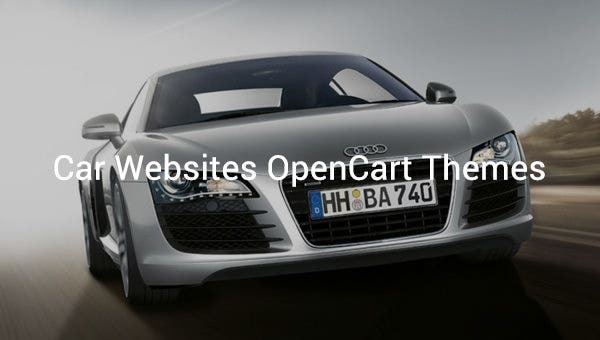 OpenCart templates for car websites are a perfect way to spread your automobile business online. Our premium Best Responsive OpenCart Templates collections of car website templates have lots of payment gateways and a revolutionary event notification system that includes order status, approval status, and notifications for products that are out of stock and even pending reviews to make your job of managing websites easier. 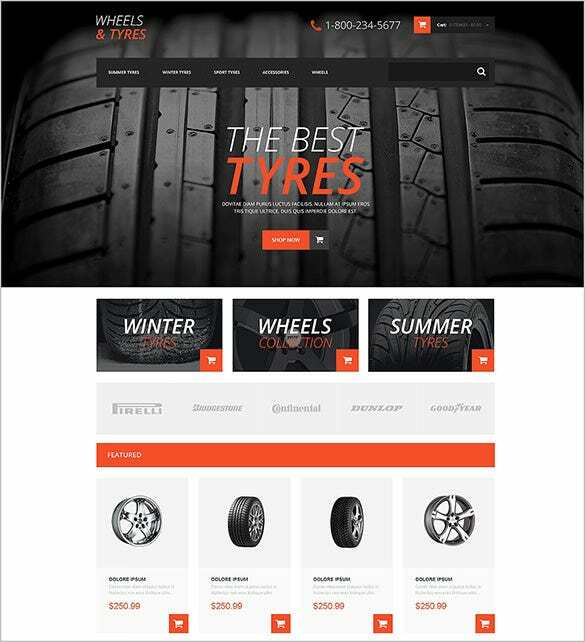 Auto Store OpenCart Template is a niche OpenCart Theme perfect for designing websites dealing with selling of car parts and accessories. With a simple Lightblue and Black Layout, the theme offers Simple Navigation and Easy Browsing facility. 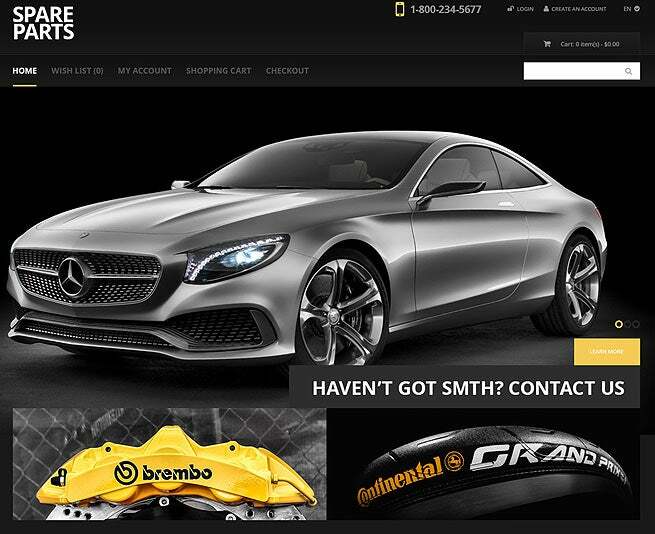 Black Auto Parts OpenCart Template offers a sleek black layout with elements being marked in yellow. Such a niche designed theme comes loaded with features like Large Slider, Drop Down Menu, Admin Panel, and Responsive Layout. 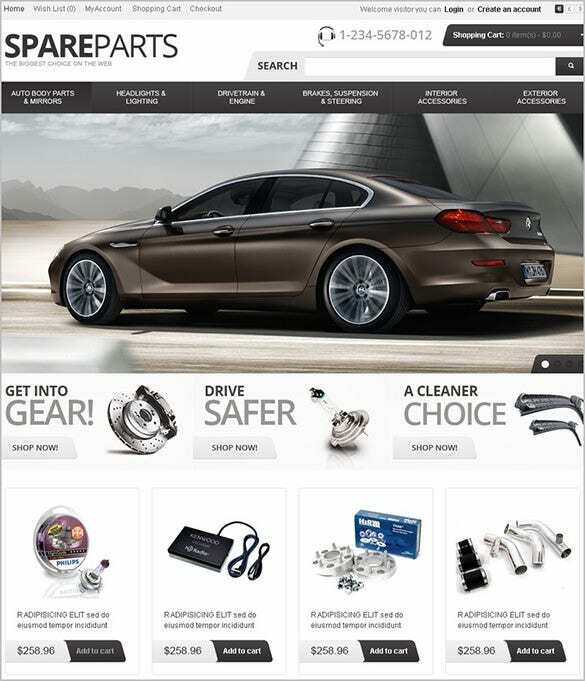 Car Spare Parts OpenCart Template is an OpenCart Theme perfect for designing websites dealing with selling of premium car spares. It has niche appearance and comes loaded with features like Four Column Structure, Advanced Admin Panel, and Animated Gallery. 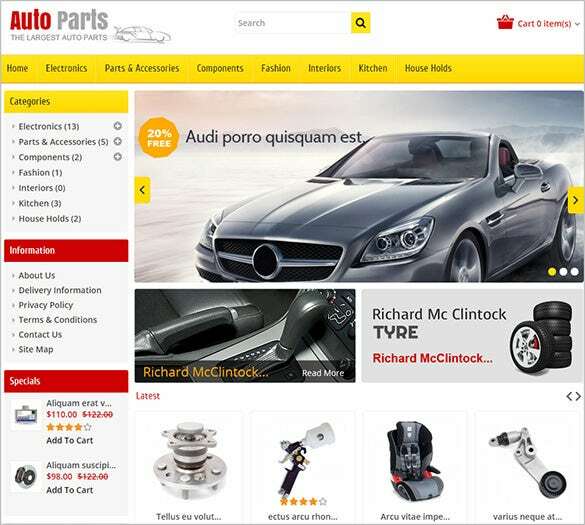 Auto Parts is a niche Tools OpenCart Theme for websites dealing in beautiful car parts. With perfect colour combination, this theme promises to be 100% Responsive. Features include Google Font Support, RTL Language Support, Flex Slider Integration. 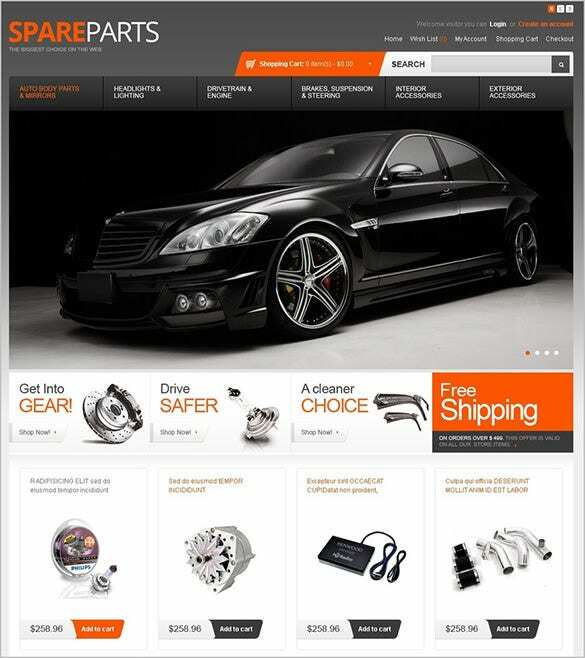 Spare Parts OpenCart Template is ideal for websites that commerce luxurious car spare parts and accessories. With a niche appearance, this responsive template comes with a highly Advanced Admin Panel and Complete Set of Documentation For Set-Up and Installation. 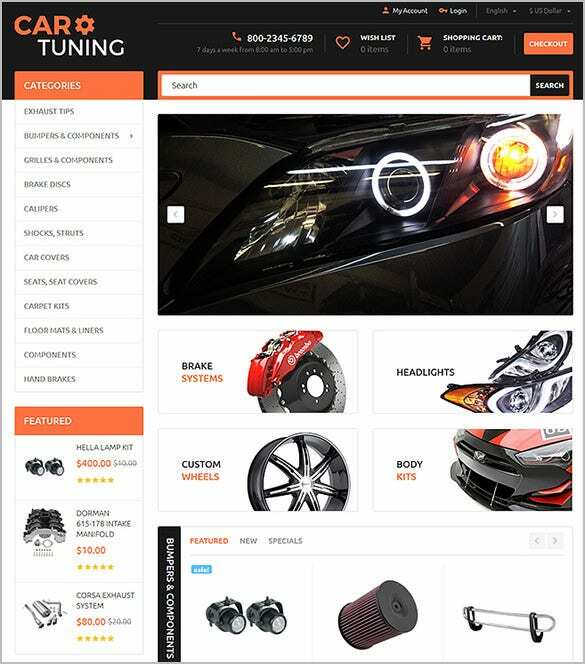 Auto OpenCart Responsive Theme is a niche template for designing car websites that deals with vehicle accessories and parts. It is compatible with OpenCart versions 2.0.3.1 and 2.1.0.1.Features include Multiple Languages Support, PSD Files, Responsive Product Grid, and it’s Easy to Customize. This is a great car website theme for tires. It is well documented and has various customized modules. It also has a drop down menu, a good commenting system and is compatible with all browsers. 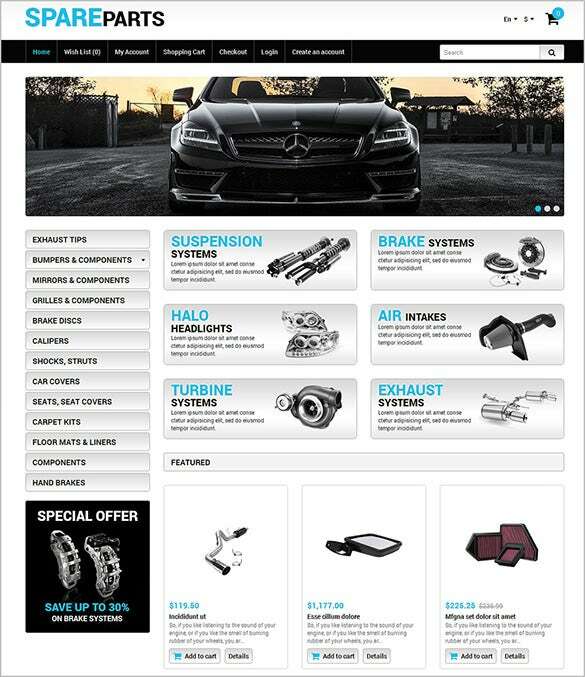 For any mechanics who are looking for car website theme this is a great option for any website. It is fully responsive and has elements that are simple to move, including the special offers, banners and product categories blocks. Our templates are available for absolutely free and are designed in the latest version of OpenCart to provide you the all new awesome features that are included. Download our templates with fully responsive design, so that your site looks equally good in desktops, mobiles and tablets These are just the latest templates that are vehicle related that you can use for your website. They are fully responsive, which will make the site look great on all devices, including tablets and mobile phones.